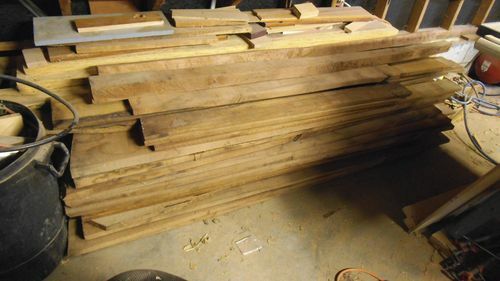 Mann I got lucky around 55 board feet old growth walnut $60 on craigslist… Oh the things I’m going to make yippy. 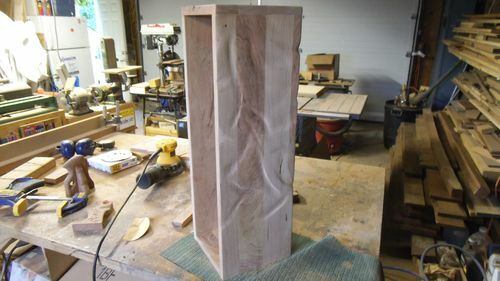 Looks like some great wood ,but if you got that whole pile of wood in the photo there has to be a lot more than 55bf of wood there? You are mighty lucky fellow. Congratulations. LOL Jim nope just the pile on the floor, actually when I got it home, it measured out to around 84 board foot. Very good deal non the less, i’m very happy. The guy that sold it is a machinist and we talked for a while, he showed me the project he was working on. He has made (completely from scratch) a 10 barrel gatlin gun that fires 22’s. Very nice guy.